Plan your fall golf getaway at Sandestin Golf and Beach Resort, the #1 Resort on Florida’s Emerald Coast. Play on 2 scenic courses and enjoy deluxe accommodations, plus many extras with packages starting at ONLY $132*. Book Online or call 877.209.0322. Group Code: SDGOLF. *Rates valid 9/1-2/28/2019. Restrictions and blackout dates apply. Test your skills with the Sandollar Golf Package at Sandestin Golf and Beach Resort this fall with rates starting at ONLY $159*! Play on 2 scenic courses, Raven and Baytowne, enjoy deluxe accommodations each night, plus many extras. Book Online or call 877.209.0322. Group Code: PLAY. The Designer Golf Package is not to be missed this fall at Sandestin Golf and Beach Resort with rates starting from only $184*! Choose from a round each day at Raven Golf Club, the Robert Trent Jones Jr. layout that played host to the PGA Champions Tour in 2006 and 2007 and Burnt Pine Golf Club, the semi-private Rees Jones design available only to registered resort guests. Deluxe accommodations plus many extras. Book Online or call 877.209.0322. Group Code: DM4GLF. Designed by Jack Kidwell in 1969, the course at Hueston Woods is a 7,005-yard, par 72 track on 260 acres. It features abundant old-growth trees, 30+ sand traps and plenty of water. Bent grass tees and greens are accompanied by Kentucky bluegrass and rye-blended fairways. *Rates valid 9/1-10/27/18. Restrictions and blackout dates apply. Play where the Web.com PGA Tour School's First Stage took place last October and compare your skills to the pros on the renown Mountain View, or try the less challenging Lake View course. Play as many holes as you can fit in your visit, based on tee time availability, with The Ultimate Unlimited Callaway Golf Cottage Package. This package is available through December 31, 2018. Click here for prices and restrictions. Destination Kohler’s three-night Dye-Abolical Package includes four rounds of golf. One each on The Straits and The Irish courses at Whistling Straits, as well as The River and Meadow Valleys layouts at Blackwolf Run. Cart, caddie, and forecaddie fees are included. Accommodations at The American Club or Inn on Woodlake. In 2018 London will host three NFL games. While in Europe for the games, play a mix of three different British Open venues, plus Sunningdale Golf Club. Enjoy being chauffeured around while basking in luxurious accommodations at the Formby Hall Golf Resort and Savoy, London. To learn more visit carrgolf.com. Wild. Wonderful. West Virginia. A golfer’s paradise set in Wheeling Park amid the Appalachian Mountains. The Eagle Weekend Package starts at $299, which includes rounds of golf on the Arnold Palmer Course, Robert Trent Jones Course, Friday / Saturday lodging, range balls, and the Mountaineer Breakfast Buffet. Save up to 20% on a golf getaway to historic High Hampton Resort in Cashiers, NC. 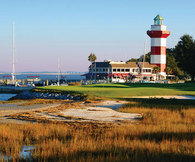 This special package includes a round of golf, greens fees, cart fees, priority tee times, accommodations and breakfast. Weekday rates start at $243 per person, per night and weekend rates start at $263 per person, per night. This 3-night, 3-round deal is long on great golf and value. The offer includes three outstanding courses - Halifax Plantation, Venetian Bay, Crane Lakes - and accommodations at Homewood Suites, an ideal home for golf groups. The package starts at just $339. CLICK HERE FOR GOLF SPECIAL. Golf at LPGA International’s Jones Course is one of Florida’s best public layouts. Cypress Knoll Golf Club and Cypress Head Golf Club offers lodging at Homewood Suites and includes complimentary breakfast. Check out the packages HERE. Tim Cate is the best architect you’ve never heard of and after enjoying this 3-night, 4-round package, you won’t forget his name. The Big Cats at Ocean Ridge – Lion’s Paw, Panther’s Run, Tiger’s Eye, Leopard’s Chase – are among the best on the northern end of the Myrtle Beach golf scene. The Big Cat Four-Round offer starts at just $267. Inn at Perry Cabin, in St. Michaels on Maryland’s Eastern Shore, offers golfers the opportunity to “Stay and Swing” with Links at Perry Cabin, the destination’s new Pete Dye championship golf course opening this spring. Wintergreen Resort, in Virginia’s Blue Ridge Mountains west of Charlottesville, claims two championship courses, Devils Knob, the highest course in Virginia, and Stoney Creek Golf Course with a trio of nines designed by Rees Jones located in the historic Rockfish Valley. Summer’s most attractive Mexico golf escape is to Villa del Palmar Beach Resort & Spa at The Islands of Loreto, where its newly completed Rees Jones championship golf course and Sabila Spa overlook the magical Sea of Cortez on the eastern Baja Peninsula. Pueblo Bonito Golf & Spa Resorts is offering a special, limited-time promotion that promises exceptional value for parents traveling with young children. The “Family Getaway” program, applicable at six all-inclusive Pueblo Bonito resorts in Los Cabos and Mazatlan, invites parents to bring up to two children, ages 11 and under, to stay and eat free at up to 50% off published rates. Pueblo Bonito Sunset Beach, all-suites oceanfront property set within the exclusive residential development of Quivira Los Cabos and the award-winning Quivira Golf Club. Pueblo Bonito Los Cabos, a perennial family favorite on Medano Beach in Los Cabos that offers stellar views of the iconic rock formations at Land’s End. Pueblo Bonito Rose in Los Cabos, accented by lush gardens and fine art. Montecristo Estates Luxury Villas, a luxurious resort community in Los Cabos with beautifully-appointed multi-bedroom villas, each with a private infinity pool. Pueblo Bonito Emerald Bay and Emerald Estates, both in Mazatlan. The “Family Getaway” package is only valid with all-inclusive rates and must be booked by May 1 for travel through Dec. 23, 2018. The package cannot be combined with other promotions. Not valid with non-refundable rates. Stays can be booked at www.pueblobonito.com by entering the code (KIDSFREE). PGA Golf Club – PGA Golf Club’s Dye Course in Port St. Lucie, Florida features the most elaborate bunkers east of Mississippi. A Pete Dye design and in Florida’s Top 20, its deep pot bunkers, vast coquina waste areas and devilish greens treat guests to a wildly entertaining round. Boredom isn’t in the bouquet for this Dye Course. GoGolfKauai.com is a streamlined, comprehensive website for travelers looking to create their dream destination-golf itinerary. Go Golf Kauai offers five courses and three resorts (and counting!) for easy booking. Featuring ideal playing weather and pervasive natural beauty and known as “The Garden Isle”, Kauai is perfect for your next golf vacation. Located just southwest of Richmond, Va., Magnolia Green Golf Club’s new 15,000 square foot golf clubhouse, boasting a full-service restaurant, bar and golf pro shop, welcomes its first summer season. Magnolia Green’s golf training facility is also now open to the public. For more information: www.magnoliagreengolfclub.com. Nestled among the tranquil evergreens in the Pacific Northwest, Salish Cliffs is a luxurious amenity offered at Little Creek Casino Resort. 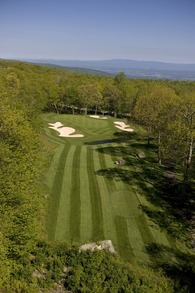 The nationally-acclaimed layout, designed by award-winning architect Gene Bates, delivers unique challenges and scenic views on each hole. Salish Cliffs provides the distraction-free summer escape that golfers desire, just an hour outside Seattle.